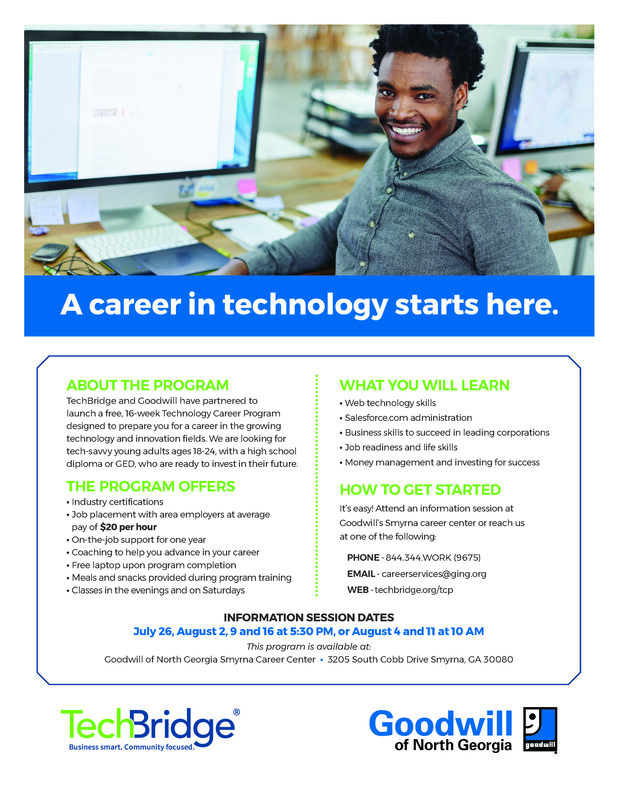 Techbridge and Goodwill are teaming up to help you start your career in technology. If you are 18-24 and you have your high school diploma or GED, this is a no-brainer. Contact 844-344-9675 or [email protected] for more information.